Spring Festival, or Chinese Lunar New Year, is coming! It is the most important occasion for family reunion. When it comes, Chinese people usually travel hundreds of or even thousands of kilometers to their hometowns for the reunions. This year, the festival falls on February 4th. 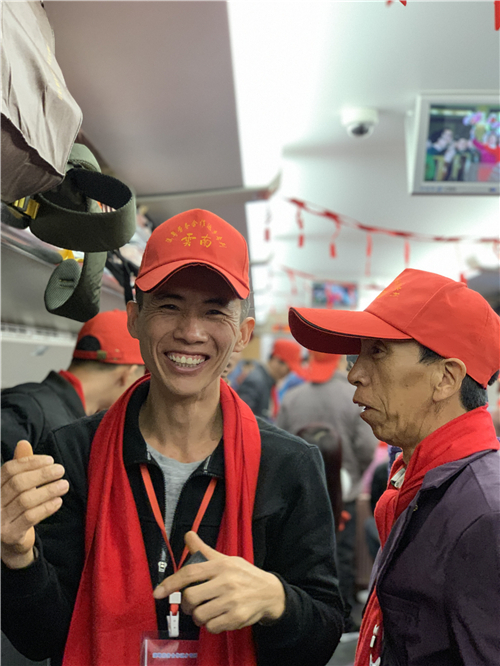 On January 24, more than 600 migrant workers took a heart-warming train ride from south China's Guangdong Province to Yunnan Province where their hometowns are. Li Chengxing is from southeast Yunnan’s Guangnan County. Several years ago, he decided to go and work in Guangdong to chase dream in a bigger world. While earning money, he saves what he can, even the travel fees to home. So he hasn’t returned home for years. “I’m very happy. The tickets are free, and I also received gifts from train attendants,” said Li. 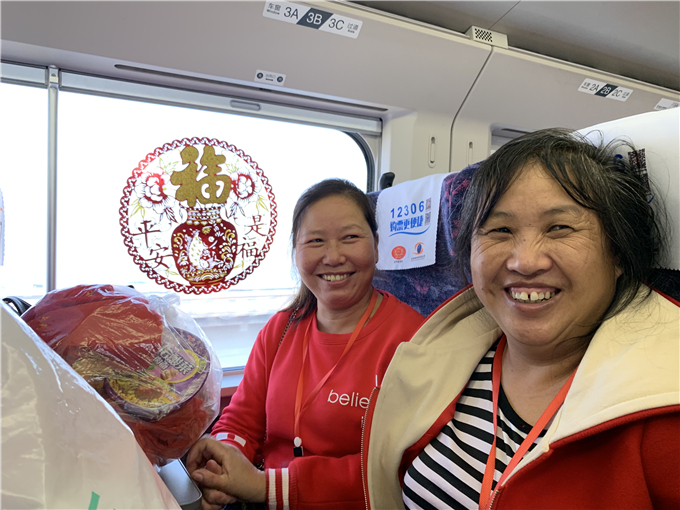 Writing Spring Festival couplets, interacting with quiz show, and dancing and singing together, the migrant workers had a pleasant train trip. “The journey is festive and joyful,” said He Haibao from northwest Yunnan’ Nujiang Prefecture. 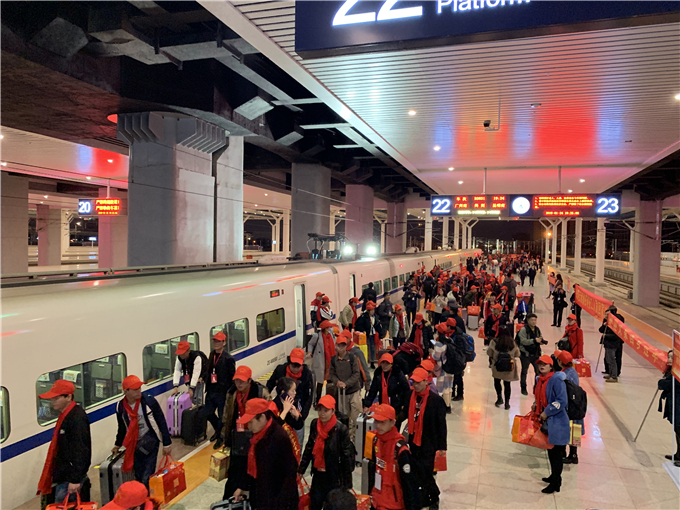 This year, to help migrant workers to go back for the family reunion during the Spring Festival, relevant departments from Yunnan and Guangdong cooperate in launching the “special train for migrant workers”. They had jointly conducted survey and door-to-door interviews in advance, and sent free tickets to more than 600 Yunnan workers of 189 companies in 11 cities of Guangdong. Photos from China Railway Kunming Group Co., Ltd.